Originally part of the “Hay House Basics’ Series this book has gotten a fresh new look and has been re-launched as the new “Made Easy” series. But I will tell you up-front – there is nothing easy about Energy Healing! 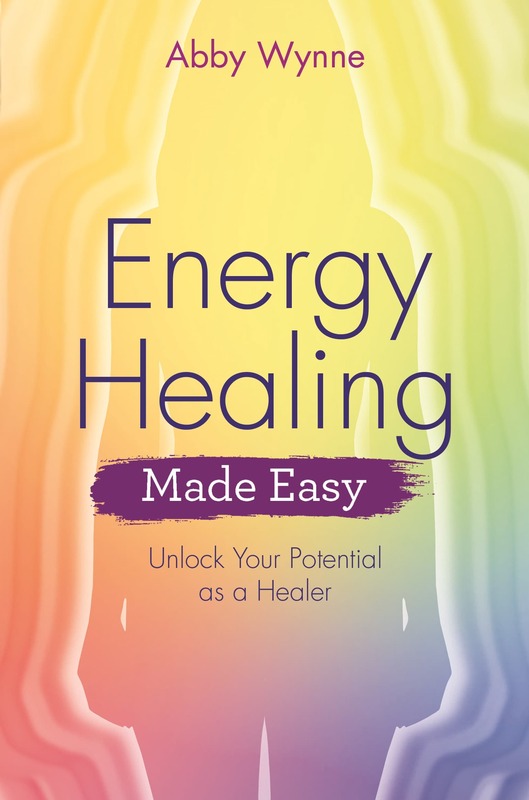 In this book I explain the basic concepts of energy healing and give you exercises and techniques for getting started right away. The book is divided into three parts – Basic Concepts, Healing Practice and Where to go Next. You no longer have to look outside for someone to help you heal – with my book you can take the first steps yourself. This book will help you heal yourself, in your own time, at your own pace. Feel empowered to do your work, and feel better! Only you can heal yourself – you need to give permission to receive. Listen to two extracts from the book read by me on SoundCloud. I’ve engaged in energy work for many years now, sporadically, and during meditation have always felt very “to the left” in my my energy. No matter how I tried to centre, change it or become balanced in my body, I’d never achieve it. I have self harmed my right side for many years and just feel absent in that side of my body. But after trying your centring exercise as detailed, I gathered my consciousness from that left hand side and brought it to centre and now whenever I meditate I do feel fully centred in my body! I’m amazed at how simple it was. It does slip back sometimes but now I know I can bring myself back. Thank you so so much. It is wonderful to feel fully centred at last and I am so grateful. Very interesting and beautifully written book on energy healing which I really enjoyed and also loved the meditations very much. These are great and I would highly recommend this book. It’s been weird, as soon as I held your book in my hands, a peacefulness came over me. I’m reading it slowly and it makes perfect sense, I feel that I have the answers I need now, all here. Thank you so much. I’ve read several books about energy healing, but I must say that Abby Wynne’s book is the most down-to-earth reading I’ve read so far. With her light writing style I sat and wished that I had read her book first! The way she writes makes it so easy to understand what energy is all about. I have already used her guided meditations and watched some videoes she has made, before I read this book, and her gentle loving energy and humour just flows thrue the book. I cannot recommend this book enough. I have read many, many books of this genre but none have benefited me as much as this one. I actually feel my whole mood has been lifted, so much heaviness has dissipated and it’s all down to this book. I have bought copies for my family and friends as life is so much easier when your energy is high and clear. This book is a true gift to the world, I am so grateful to have found it.